I am always moving things around, and I took a few of my old desk decorations and put them in new places around my house. For the past 2 months I haven’t had anything above my desk area and it was starting to look lonely. I have a constant pile of decor that I’m not sure what to do with at the moment (I have a problem) so I decided to shop in my basement. 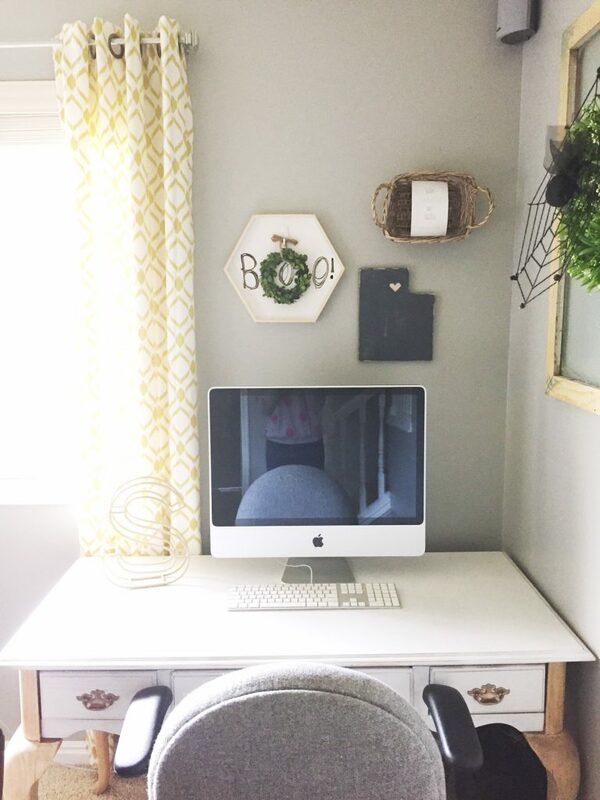 This darling wicker basket kind of reminds me of a tobacco basket, so I decided to mimic the trend, and hang it on my wall. 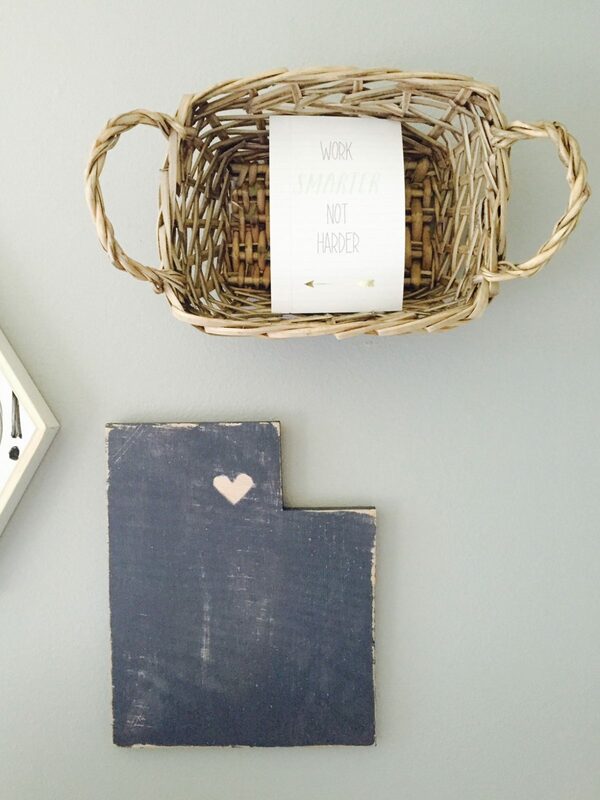 I put a cute little paper inside that says “Work smarter, not harder”. A great reminder above my work space. 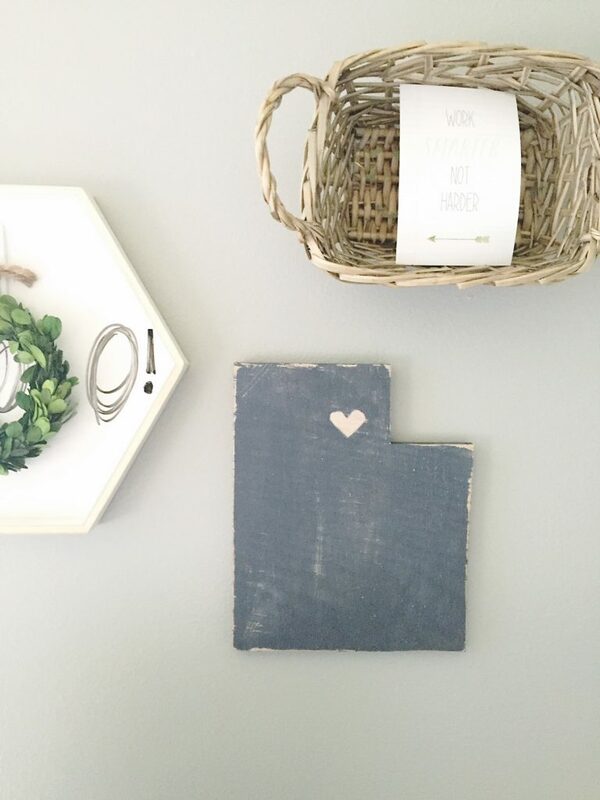 This wooden Utah sign is one that I made a while ago and haven’t loved it in any space. I really love it as part of this trio though! 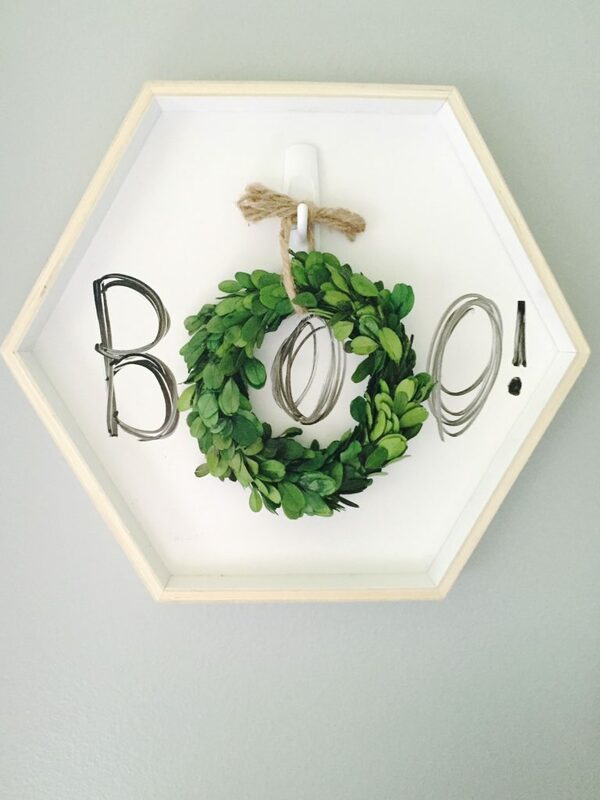 And lets talk about this hexagon white-erase board and wreath! 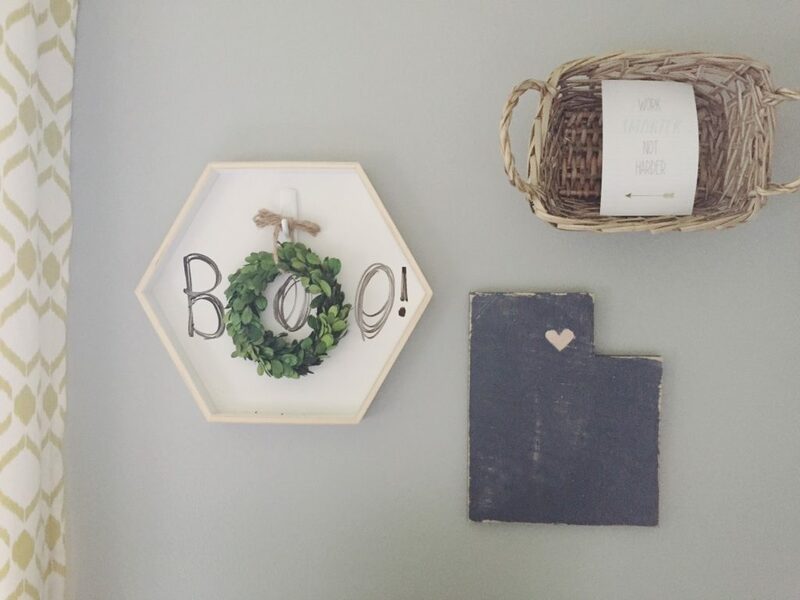 This boxwood wreath was given to me from Gable Lane Crates, one of my favorite online places to shop! I love it dressed up for Halloween. And the dry erase hexagon is from Hobby Lobby. It is great as a note board, or decor. 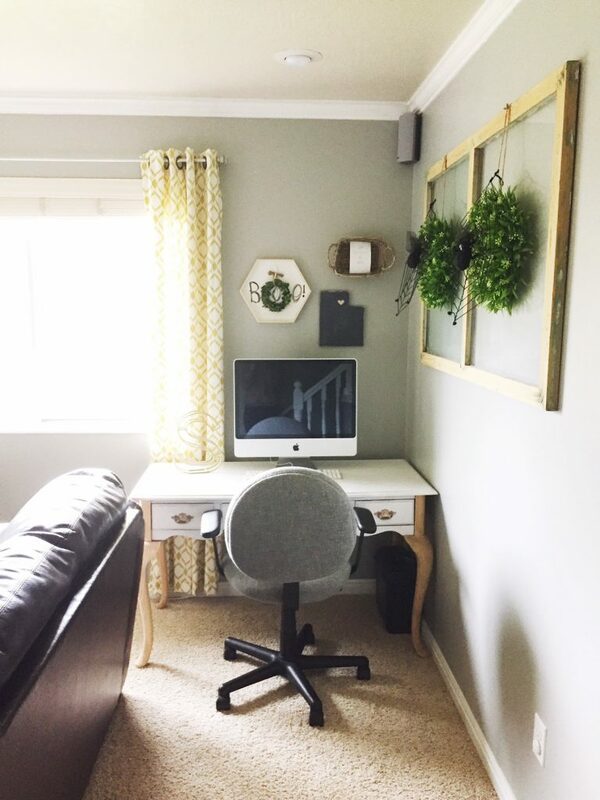 If you would like to see the before and after of this gorgeous desk, see this post. Thanks for visiting today. I hope you’ll stick around. 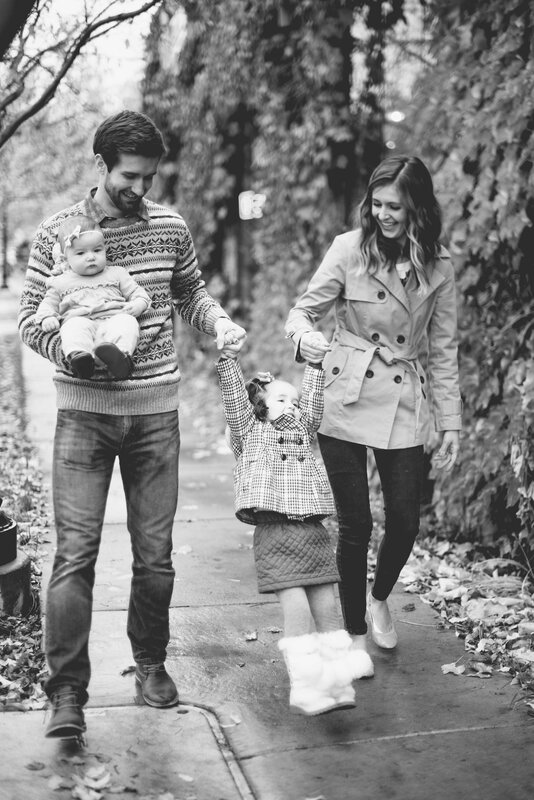 Come follow along on Instagram for more of life at the Schmidt home!